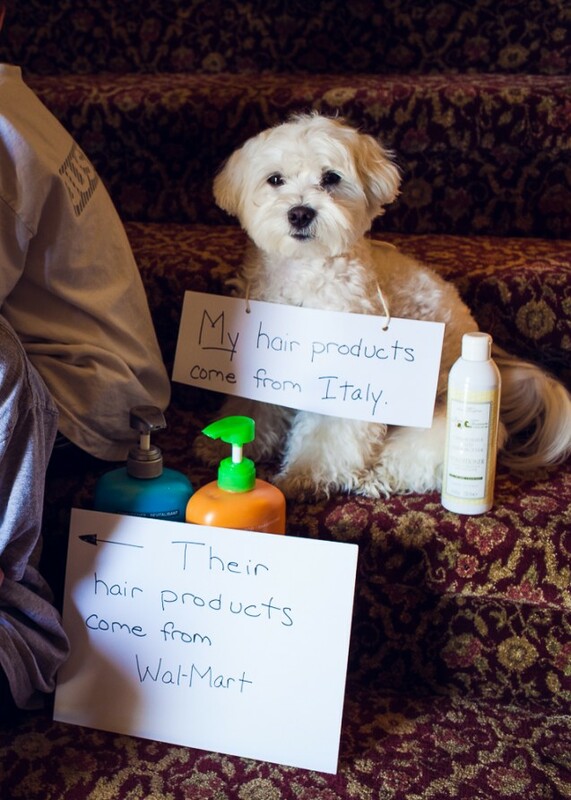 Steve the rescued maltese mix has left his humble beginnings far behind and demands only salon quality products. Maybe Steve has prettier hair than the two of you? Steve you are gorgeous, daaaaaahling! I cut my own hair while my dog goes to the salon.